In case of emergency, or even just in case of a camping trip, it's important to have your gear as compact and efficient as possible. The new Kettlecharge device by BioLite serves the dual purpose of providing potable water and electric charge. 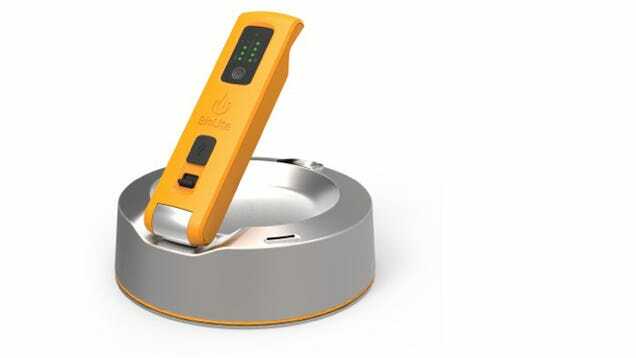 According to Gizmodo.com, all the Kettlecharge requires is a controlled source of heat to boil the water in the pan, and its thermoelectric charger will reap 10W of energy, accessible by plugging in your power cord or USB. A special heat-resistant USB extender is included so that your smartphone doesn't take a spa dip. The Kettlecharge is operational indoors or out, making it ideal for power outages as well as doomsday scenarios. But will it be enough to charge the chainsaws before the zombies can get you? Just because you're off the grid doesn't mean you're past civilization.